The lake cabin where I take D. fishing has a leaking water pipe, and to get to the valve, the plumber who is going to fix the thing needs a hole large enough for him to get down into and about three-and-a-half feet deep. My dad, knowing I have the summer off, tasked me with digging the thing. 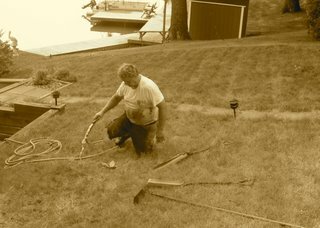 Soon after my dad gave me the task, about three weeks ago, I found out my father-in-law, R.B., has a gasoline-powered auger. R.B. volunteered to help me out, but even knowing I would be backed by a machine and R.B. 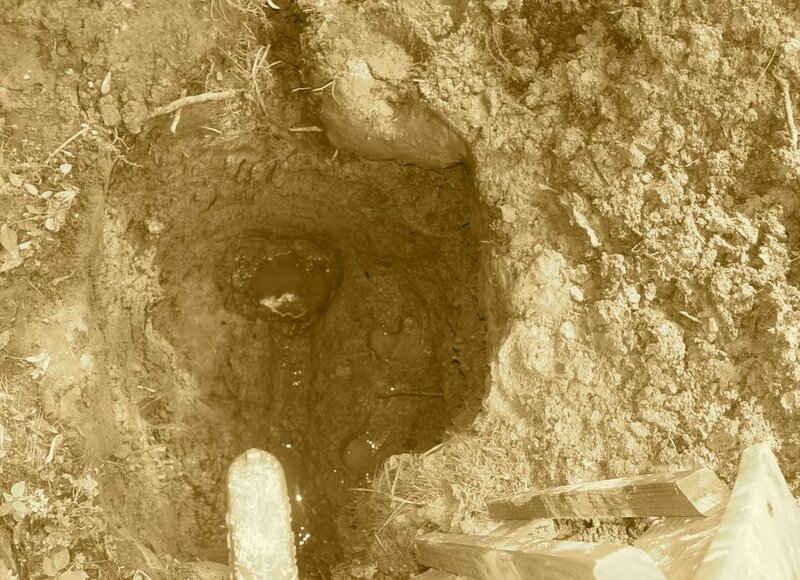 's know-how, I put off digging the hole until this morning. Once R.B. surveyed the ground, he decided we could do without the auger and busted out two tiling spades, a shovel, and a posthole digger, and we got to work. It took all of seven minutes before my hat was soaked through with sweat and I was winded, but R.B. was an animal with the tiling spade, and made me feel bad for wanting to take a break, and so I did my best to keep up with him. I had figured we'd spend a good three or four hours on the hole, but thanks to R.B., we finished in just under two. And now, since this blog is primarily concerned with writing, I want to say a few things about digging a hole and putting words on the blank page. I've come across author interviews in which people compare writing to a "job," and recently, a very successful novelist colleague of mine told me that he treats writing a novel as a job like any other, one where you have to show up for X number of hours each day. I enjoy the blue-collar sentiment of this outlook. I mean, who isn't up for a little work. But my problem with the analogy is that writing for X number of hours so infrequently leads to a big, tangible, muddy hole in the ground. Like everybody else, I've worked a lot of jobs, and a lot of blue-collar jobs: in a steel factory, as a pallet repairman at a pig plant, etc. And though the work was physically exhausting, at the end of the day, I had stacks of repaired pallets piled all around me; I'd filled boxes with hot-coiled springs. I'm starting to get more comfortable with feeling rewarded after a few hours' writing by finding one decent sentence sentence on the page, or, gasp, a whole pararaph. But I'm still always wanting something like those pallets and springs after a day of writing: a stack of perfect pages. 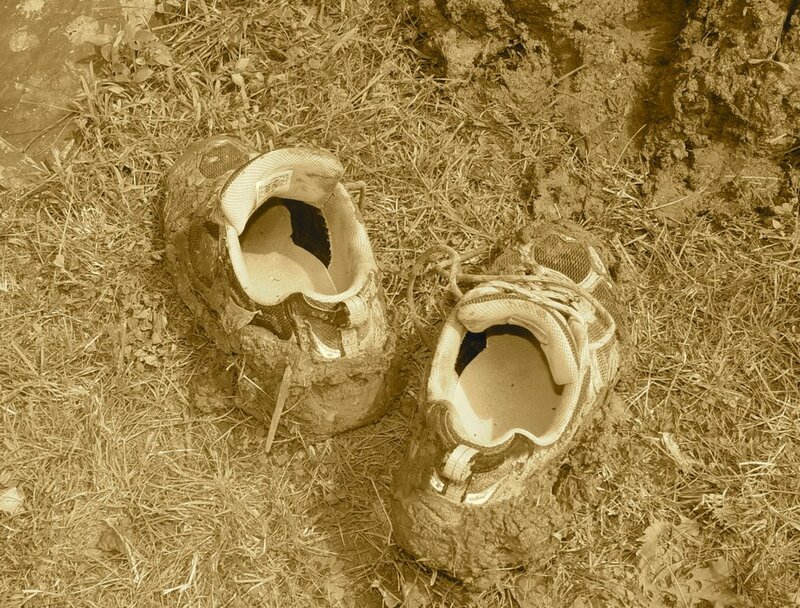 I mean, sometimes it's really hard to compare one decent sentence with that muddy hole in the ground, and with going home after a few hours, blisters on the palms of your hands, your clothes streaked with mud and soaked with sweat, your body thankful just to be sitting. 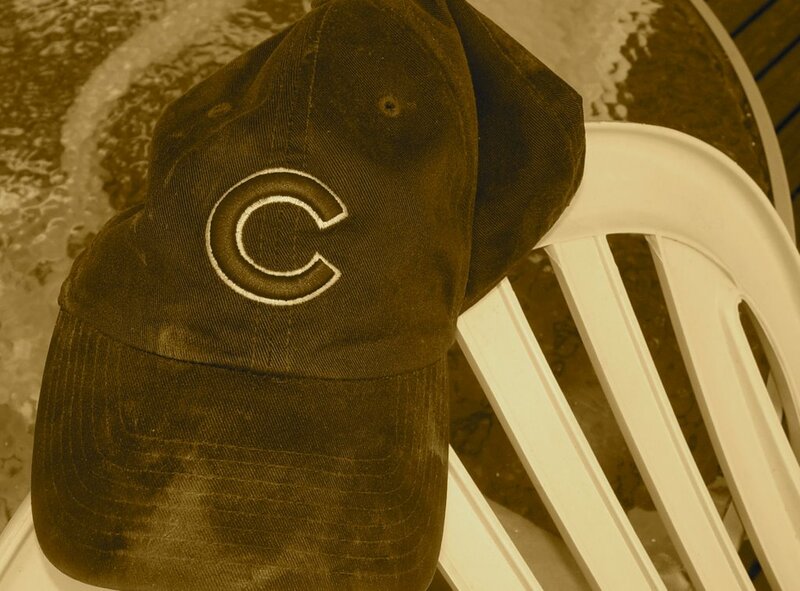 I haven’t always been a Cubs fan. Growing up, I liked the St. Louis Cardinals. My mom, though, liked the Cubs, and once, when I was five or six years old, she told me I wouldn’t be able to live with her any longer if I continued cheering for Ozzie Smith’s team. Again, I was only five or so, and I truly believed I was going to get kicked out of the house, so I started wearing the Cubs T-shirts and hats she bought me. A few years later, though, I got wise to her scheme and realized my sweet old mom wasn’t going to kick me out of the house because I refused to sing the Jody Davis song along with her and Harry Caray. So I spent most of the rest of my youth cheering for the Cardinals and calling the Cubs the Scrubs—I wasn’t one of those kids who filled notebooks with stories, but I did play around with words all the time, and when I was seven or so I thought the Cubs/Scrubs pun was about the funniest thing in the world. It wasn’t until I was twenty-two and a wannabe writer working crappy jobs that I started cheering for the Cubs in earnest. 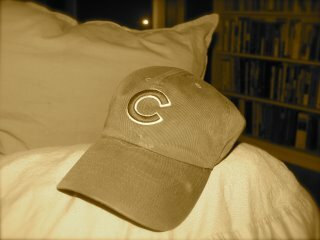 You see, it wasn’t until I became an underdog in life that I started appreciating what it means to root for the Cubs. Now, however, I’m a little past the underdog phase, and I want to see the suckers win, especially after the enormous letdown that was 2003. And this year’s Cubs team, it’s a tough one to love. In fact, I have tickets for a night game next month, and I could not care less about going. Even the old Scrubs joke, I’m just not feeling it. 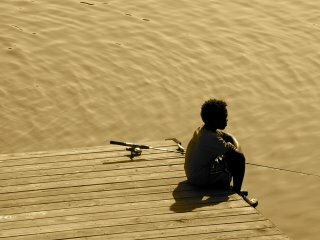 My nephew D. is a little obsessed with fishing, and I have the privilege every now and then of taking him to my parents’ lake cabin to do so. But, besides being obsessed with fishing, D.’s also a pretty hilarious ten-year-old. 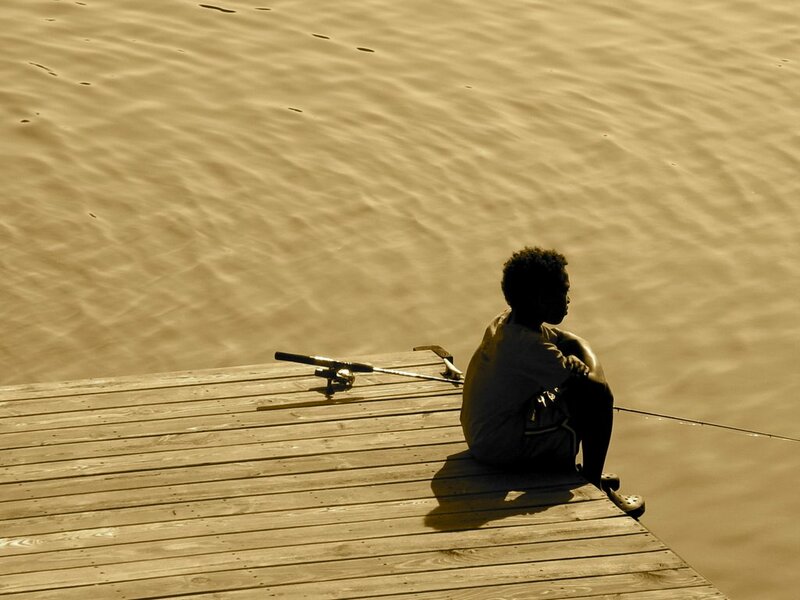 Monday, he spent the night with us, so that we could take him fishing the morning and afternoon of the fourth. I thought maybe we’d spend Monday night going to Superman Returns, but then I saw it was 164 minutes long, which made me think he might have a hard time sitting though it—and besides, D. didn’t really want to see it. He wanted to see the movie with the “grown man who looks like a baby”—which I figured out was the new Wayans’ brothers movie; it wasn’t in town. Then I thought maybe Nacho Libre. I queued the preview on the computer, and called D. over, and before the thing even began, D. was quoting the line about “stretchy pants” in a very Nacho-esque accent. I chuckled a little, not knowing where that came from, and kind of forgot about it. We rented two fishing games, a deer hunting game, and a very cool dirtbiking game. The next morning, we were off to the cabin. *Photo by J.C., but tinted sepia so that it matches the blog. The way Alex imagined it, she and her husband would renovate the place room-by-room, exhaust themselves with wiring, grouting, hanging drywall. And at night they would try to conceive again, putting whatever energy they had left over into it. To read the rest of "Hunger" you can purchase Versal 04 by clicking the link on the toolbar. Or you can send me an email, and I'd be happy to pass the story along.